As the end of the year approaches, more and more shoppers will scour the Internet, looking for deals and unique finds. With every passing year, an increasing number of people are choosing to purchase their holiday gifts from online retailers. Unsurprisingly, may of these shoppers are concerned about holiday shopping security. After all, the holiday season proves to be a particularly active time for hackers, identity thieves, and other online criminals. Cyber crime, especially identity theft, drastically increases during the holiday season. According to a recent study on holiday shopping security, cybercrime increased more than three-fold during the 2013 holiday season. The increase in online traffic creates many opportunities for identity thieves to steal personal information through hacking techniques and sophisticated phishing scams. Despite this fact, consumers can still increase their safety in making online purchases by following these holiday safety tips. Use Strong Passwords: While it may seem obvious that a stronger password directly increases an individual’s online security, many people continue to practice poor password hygiene. To illustrate this point, security experts still find that “Password” and “123456” to be the most common passwords used today. Individuals should create long passwords comprised of letters, numbers and special characters. Additionally, consumers should avoid using the same password for every online account. Use a Credit Card: Instead of using a debit card, consumers should use a credit card whenever possible to make purchases. This is because it is much easier to dispute fraudulent transactions with a credit card than a debit card. Additionally, many credit card companies implement fraud detection algorithms that provide an additional layer of protection. Monitor Bank and Credit Statements Closely: Any unusual activity on credit card or bank statements could be a sign of fraud. Early recognition of suspicious activity is crucial to avoid liability for unauthorized purchases. Most banks and credit cards have a 30-day window for reporting fraud so consumers are encouraged to monitor their statements closely. Avoid Using Public Wi-Fi While Making Purchases: Shopping for gifts online using public internet access points, such as hotspots in airports and coffee shops, could compromise personal information. As such, consumers should stick to known, encrypted, and password protected hotspots. Even so, virtual private network (VPN) software is a good option for frequent travelers who need to connect over public access points. VPNs encrypt a user’s data, preventing unauthorized snooping. 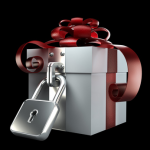 Look for HTTPS in a Retailer’s URL: IMG’s final holiday shopping security tip is to use HTTPS whenever possible. Users know when they are visiting a HTTPS site as this will be displayed at the very beginning of the URL, also known as the web address. HTTPS indicates that communication between the user and the website is encrypted. This layer of security is a simply a must for making online purchases. The executive travel security firm, IMG Group, has extensive experience in international travel security and executive protection. To learn more about the solutions offered by IMG, please visit: http://www.theimg.com/international-security-consulting-firm. The IMG Group is a leading international security consulting firm. Corporate or business organizations concerned about their need for security management expertise can reach out to the IMG Group for assistance. The company’s expert security consultants provide services such as employee travel security, VIP and executive travel security, corporate risk assessment, workplace violence consulting, supply chain security, crisis management consulting, and more.